Australia is at risk of losing its indigenous languages as the number of native speakers dwindles. From over 250 indigenous languages, only 120 languages are still spoken. The 2014 National Indigenous Language Survey (AIATSIS) found that 100 languages are “severely or critically endangered”. The Yawuru are the Indigenous people of the area around Broome, Western Australia (WA). With one native speaker remaining, the Yawuru Language Centre, Mabu Yawuru Ngan-ga, was determined to explore new ways to preserve their language and culture in the digital age. 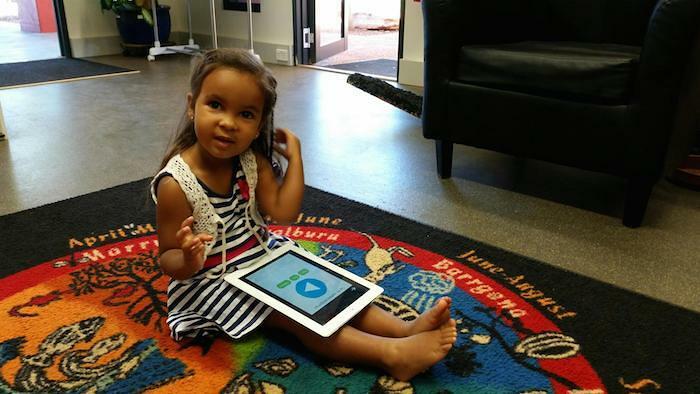 The Yawuru Language Centre chose ThoughtWorks to create the Yawuru language app called Yawuru Ngan-ga. The app aims to preserve the language for future generations and educate visitors to the region, as well as those interested in learning from afar. Close collaboration between the Yawuru Language Centre and ThoughtWorks enabled the team to launch the application with only 6 weeks of development. The app is great. I love it. It’s very helpful and has been a long time coming. I feel proud and privileged to be Yawuru. For maximum reach, ultimate user experience, and rapid development time, the team chose to build the app using the Apache Cordova (Phonegap) platform, which allowed them to rapidly create Android and iOS apps. With limited internet access when out in the bush, the team ensured the app was fully functional offline via a syncing mechanism. Gamification techniques were used to ensure users can explore and learn the Yawuru language in a fun, simple, and engaging way. They can browse the dictionary for words or phrases, explore via culturally relevant categories, or get stuck into learning the language via a series of word games. The cloud-based administration system incurs negligible cost, and doesn't require the Language Centre to manage the infrastructure. It allows Yawuru language custodians to self-service all administration needs, and curate all content in the app via a simple web-based content management system. The app is wonderful. I’m learning my language from my grannies (grandchildren). The kids all learn from each other through the language app and try to outdo each other. The app's framework and administration tool have been open-sourced under the name Jila, to help preserve other indigenous languages globally. Jila in Yawuru means “waterhole", a place where people come together, and in this case, come together to solve a mutual problem. A key design principle of Jila is that any typical web developer should be able to 're-skin' the app and deploy a new customised version. 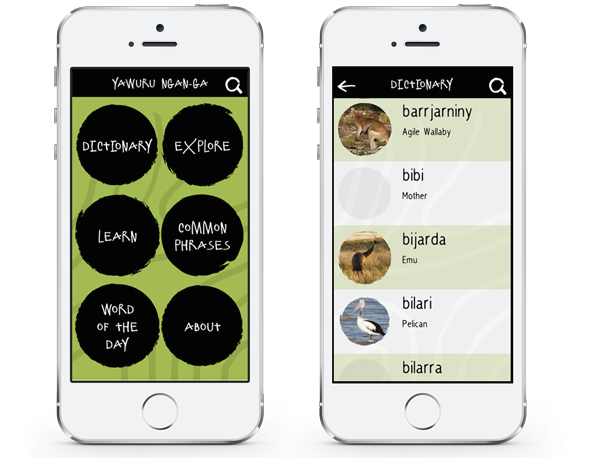 As a result, a new Jila-based language app was released for the Miriwoong community, and there are over five other new apps in the works. Impact multiplied.